Not sure if I've ever posted pictures of my method of chopping apples for pressing. I took a 1/8" plate of steel and drew a 6 sided star on it. Then by using a 3/16" drill bit, I perforated the entire outline of the star and then cut along those perforations with a hack saw. The edge now has a serrated edge. Then I drilled a hole in the middle and attached a long piece of 1/4" threaded rod to the star with nuts. I then bent 3 of the star's points up and 3 down in an alternating fashion thus forming a 6" diameter blender blade. 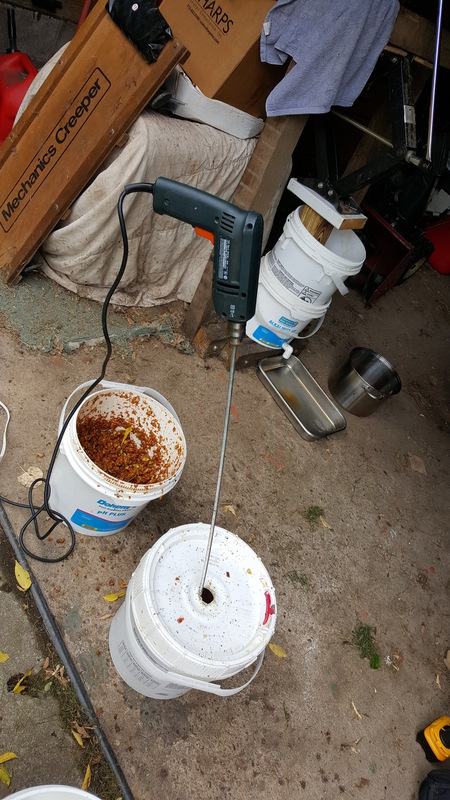 I feed the rod through a hole in a 2 gallon bucket lid and attach a drill to the other end. I can thoroughly chopped a bucket of apples in a matter of a minute. 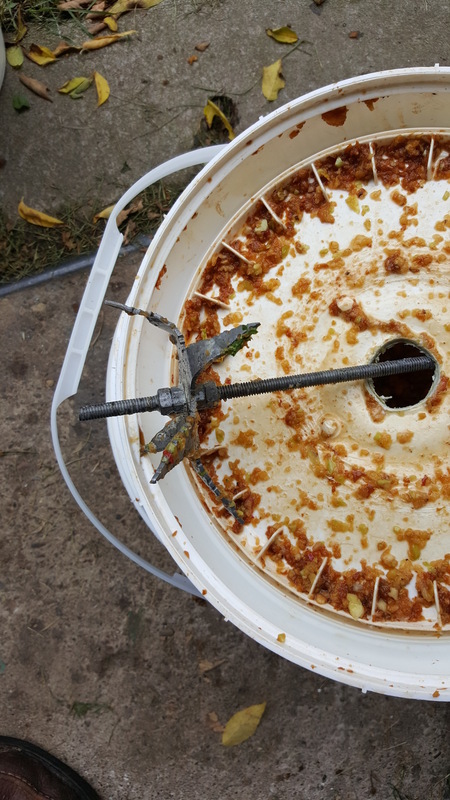 The apples then go into a large nylon mesh bag in a 5 gallon bucket that has a layer of cut up lengths of 1/2" pieces of PVC pipe with a false bottom made from another buckets bottom with a bunch of holes drilled in it. 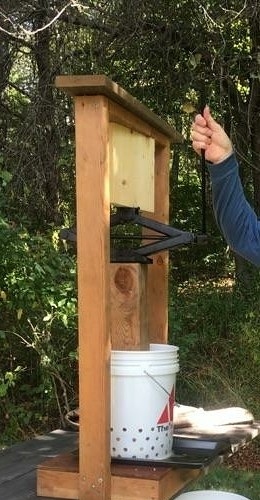 The 5 gallon bucket has a plastic spigot on the side at the bottom to collect the cider in a pan. The press is built with 4x4's and a scissor jack. The secret is patience. Apply force slowly and gradually for better yield. My personal record is 14 gallons in a day. My season best is 26 gallons. I throw the apples in whole. This is my off year for apples, too, but some of the trees just MIGHT be getting back on a yearly schedule after heavy pruning... fingers crossed. Got a good amount on a couple of trees, so I should be able to get a few gallons. Same here. I pruned the apples hard last year so the crop is small also hoping to get them back to yearly. Got a big pear crop but the squirrels got them all. Good crop of peaches though.